2010 was a pretty good year for videogames. Across all platforms and genres, there were so many excellently crafted games released this year that it was about as easy to pick the best one as it is to choose the favorite family member or episode of Star Trek. Given the different tastes and backgrounds of everybody at the The Escapist, we had quite a lengthy discussion about what the best game of 2010 was. It started out even-handed and scholarly but tempers quickly got out of hand and someone threw a chair. We laughed, we cried, and no one batted an eye when a bottle of Patron was cracked open. I don't know who brought the donkey into the room to prove a point but everyone agreed that it made perfect sense at the time. 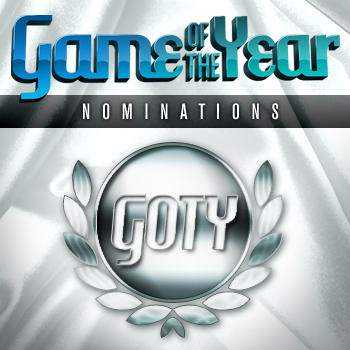 In the end, we were able to narrow the field down to our 12 nominees for Game of the Year. We'd be happy with any one of these games being honored as our choice because they all bring something important to the ongoing development of game design while also delivering exactly what a game should: fun. Imagine Grand Theft Auto set in 15th Century Rome. Now imagine that, instead of some low-life crook, you're playing the son of a wealthy banker who's friends with Leonardo Da Vinci and Niccolo Machiavelli. Now imagine that you're also secretly an assassin who can climb walls like Spider-Man and gets paid to jump around the city stabbing everyone who gets in his way. Last of all, imagine that all of this takes place against a backdrop of science-fiction, art history, and politics. 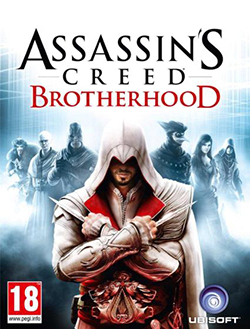 Put all of that together and you've got Assassin's Creed: Brotherhood. The new game picks up where the last one left off and, though it takes a while to really get going, soon sets the player off on a fantastic journey through the Eternal City, skulking through the alleys and sewers and racing along the rooftops of the palaces. The city of Rome is the real star of the game, and it's amazingly detailed at every level. Whether you're chasing your assassination target through a crowded market, or just trying to figure out how to get on top of the Pantheon, there's a lot to see and do here and it's all spectacular. Even the sequences that take place in the future are compelling. And you're not just playing by yourself anymore. The Brotherhood of the title comes alive in two very different and engaging ways. First, you can recruit and train your own assassins now, sending them off on missions around Europe, or even calling them to help you out during missions in Rome. You'll also be able to take your game online in one of the most inventive and tense multiplayer modes of the entire year. Players are dressed as typical NPCs and must wander the streets of Rome, hunting for other players to assassinate. Such innovative competitive multiplayer is easily one of the most fun we've had all year.